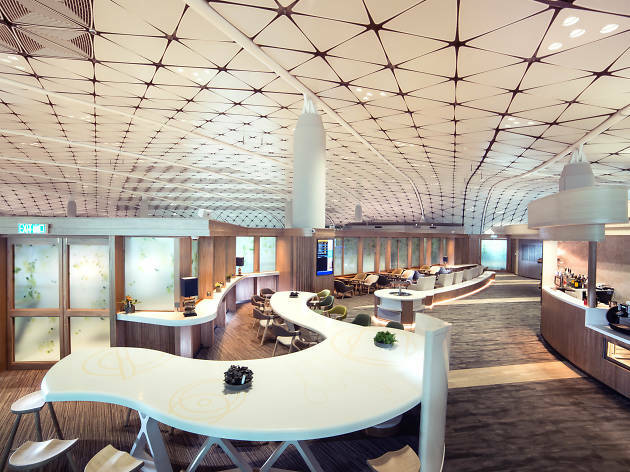 Hong Kong Airport’s newest VIP lounge, Club Autus is Hong Kong Airline newest offering boasting a 20 meters-long buffet line and fresh off the grill-eggettes. 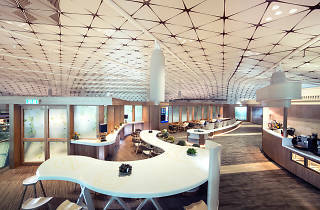 Aside from showering facilities, the lounge offers panoramic views of the Hong Kong-Zhuhai-Macao Bridge and there’s a 3D virtual mobile theater that comes complete with noise-cancelling headphones. Not limited to business and first class passengers, you can enjoy the VIP lounge if you have certain credit cards like ICBC or if it’s your birthday — though you have show up in formal wear.